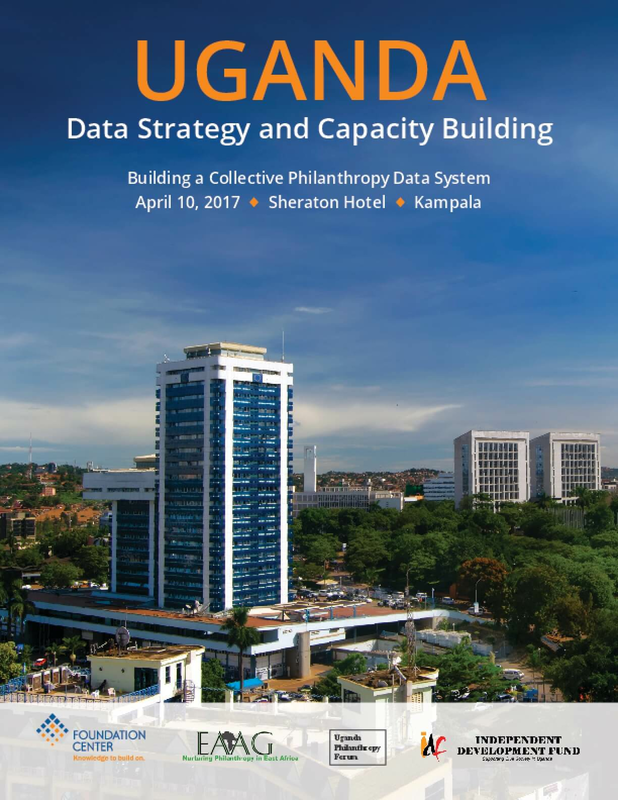 This report presents highlights from Building a Collective Philanthropy Data System, a workshop that took place in Kampala on April 10th 2017. The workshop was the third in a series of meetings that have taken place over the past year in Uganda as part of the Data Strategy and Capacity Building Program, a joint effort led by East Africa Association of Grantmakers (EAAG), Uganda Philanthropy Forum (UPF), DENIVA, and the Independent Development Fund (IDF) along with more than 30 Ugandan philanthropic organizations. 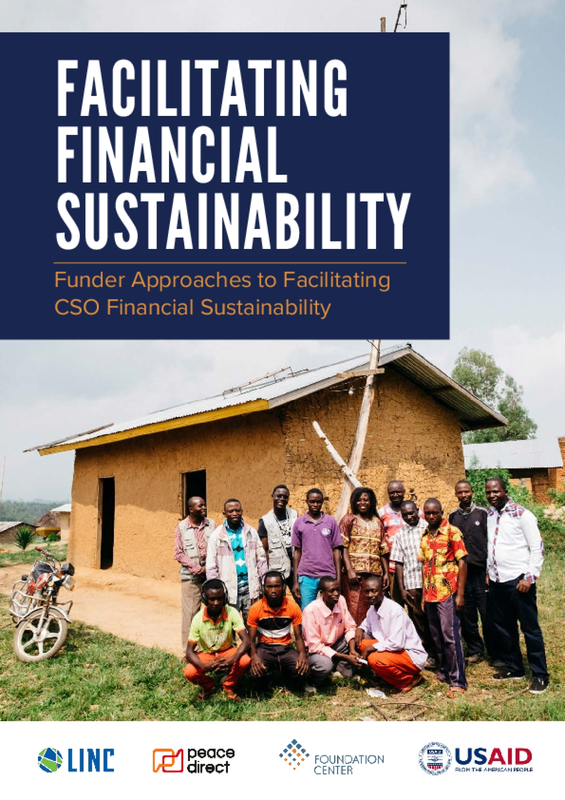 The program aims to strengthen the capacity of foundations and trusts to collect, analyze, and share data and knowledge that highlight the value of Ugandan philanthropy to national development outcomes, facilitate philanthropic collaboration, and inform grantmaking and programmatic decisions. The workshop marked a transition from planning to implementation. It sought to solidify recommendations made in earlier meetings and focused on the development of a prototype philanthropy data portal for Uganda. The group agreed on which specific types of data they were willing to share at this point in time and outlined a proposed structure for the data portal. Having agreement on what information to share and how to structure it was crucial at this stage of the process, as it will serve as a framework for data collection going forward and will ensure that the data that will ultimately be shared is contextually relevant and applicable. Further, the partners continued to develop the strategy for implementing the portal development and the population of its data, and hence agreed on partner roles and concrete next steps. 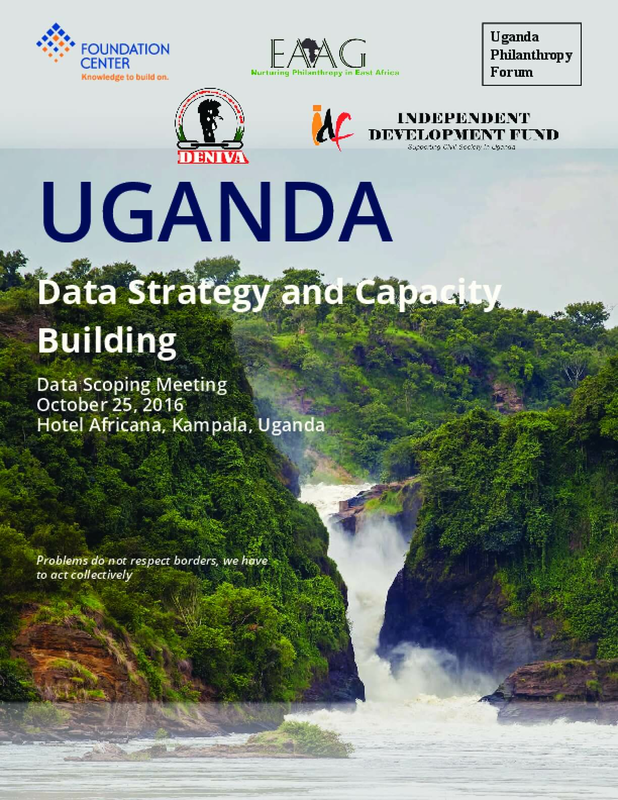 This report presents key outcomes from the Uganda Data Strategy and Capacity Building Workshop, held in Kampala on the 5th of December 2016. The workshop brought together local philanthropy stakeholders who participated in a "Data Scoping Meeting" held on the 27th of October 2016, which identified the need to build capacity in data management and explore strategies for developing a collective philanthropy data system for Uganda (For more information, download the meeting report). 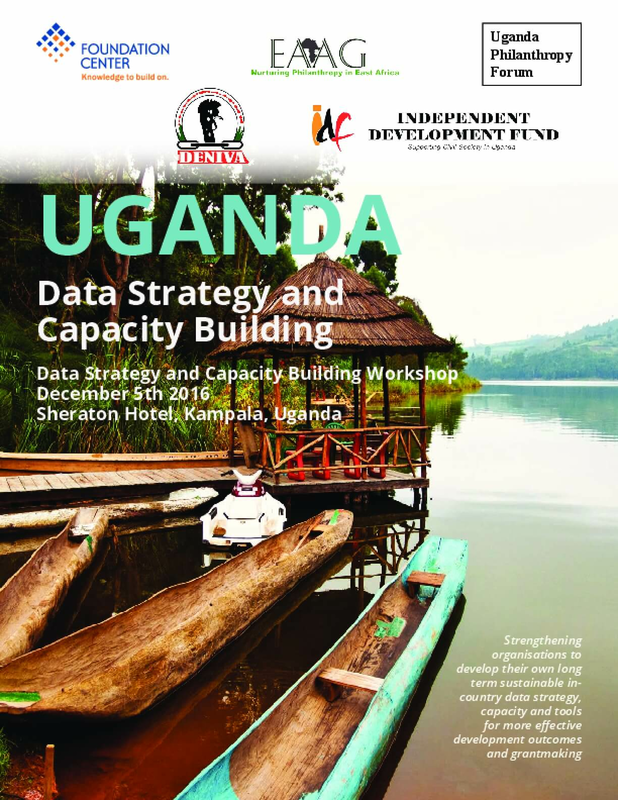 The Data Strategy and Capacity Building Workshop was hosted by the Uganda National Philanthropy Forum (UPF) in partnership with Foundation Center, East Africa Association of Grantmakers (EAAG), Independent Development Fund (IDF), and Development Network of Indigenous Voluntary Associations (DENIVA). 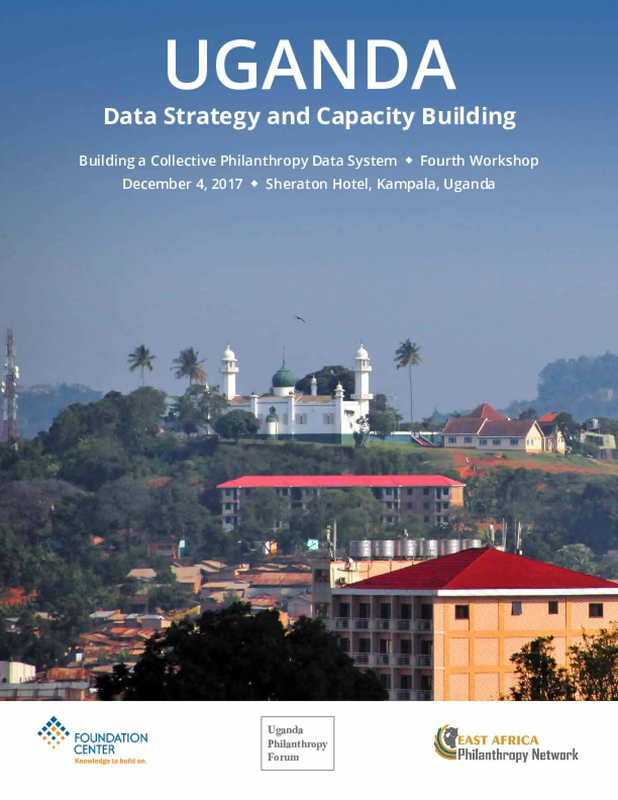 The ultimate goal of the Data Strategy and Capacity Building work in Uganda is to lay the necessary groundwork for the local philanthropy sector to build and operate its own data collection system. The two workshops held to date provided opportunities for key stakeholders to develop a sense of common purpose around data collection and sharing. 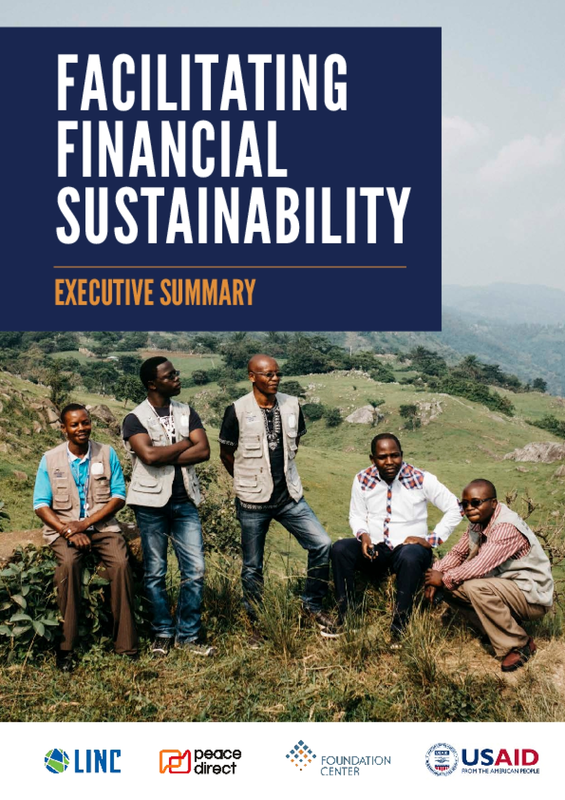 The result of the meetings was the creation of an Action Plan that identifies critical areas of work that need to be undertaken by UPF to build a sustainable data collection system and a community of practice committed to its achievement. 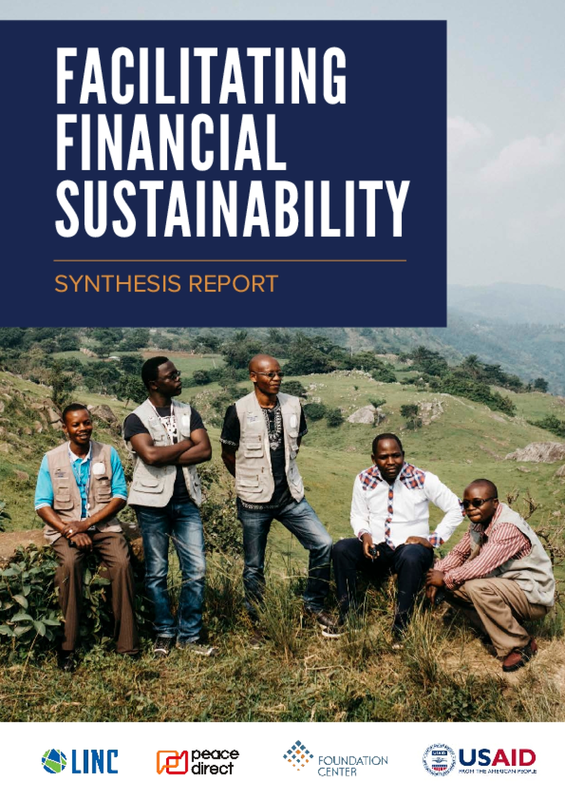 The elements of the Action Plan are presented in this report, beginning on page 9. 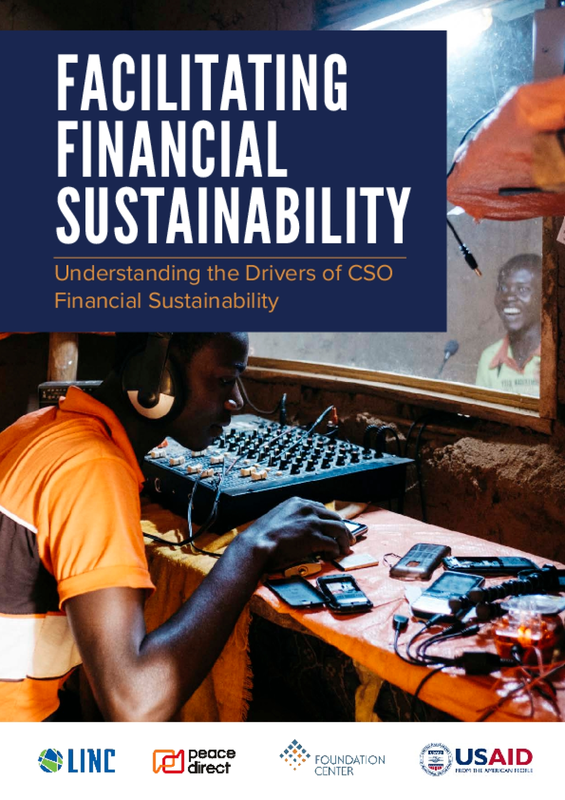 As part of Uganda's commitment to the Sustainable Development Agenda, the country has made substantial progress toward improved national development data—including the launch of a Development Data Hub supported by Development Initiatives and a review of open data readiness jointly undertaken by the government and the World Bank. Uganda however, lacks an organized framework for collecting and sharing reliable and comparable data on philanthropy. As such, the newly established Uganda National Philanthropy Forum (UPF) represents a key mechanism for the sector to consolidate its e orts and hone its contributions to national development. The forum was established in October 2015, facilitated by the East Africa Association of Grantmakers (EAAG), in partnership with Independent Development Fund (IDF), Development Network of Indigenous Voluntary Associations (DENIVA) and GoBig Hub. Its objective is to explore strategies for consolidating and organizing the philanthropy sector in Uganda. As a follow up to the UPF agenda on advancing philanthropy data in Uganda, EAAG and the Foundation Center in partnership with IDF and DENIVA hosted a Data Scoping Meeting on October 25th 2016. The objective of the meeting was to explore opportunities to strengthen data sharing and management to enhance the sector's coordination and in uence on national development policy. The meeting brought together 35 foundations, trusts and other local philanthropy organizations.